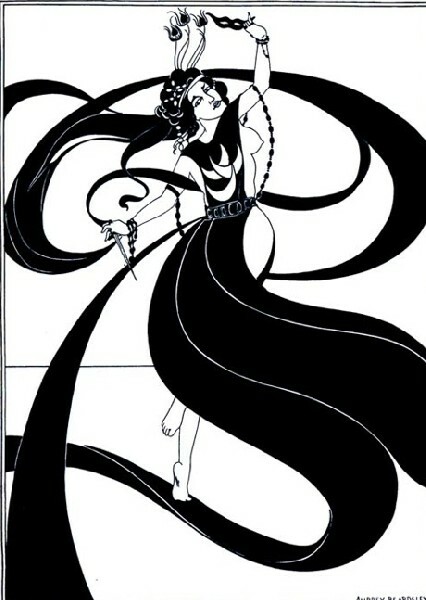 Aubrey Beardsley drew "The Dance of the Seven Veils." We will have to wait to see Racette perform it in San Antonio. A prophetic and commanding Jochanaan by the Latvian bass baritone Egil Siins. Looking to all the world like the whore of Babylon and shrewd as any Tetrach, Gabrile Schnaut intrigued as Herodias. Aubrey Beardsleyâ€™s drawing: "Before the Fatal Kiss"
The moon was high in the sky, a growing young moon above the Ravinia grounds. 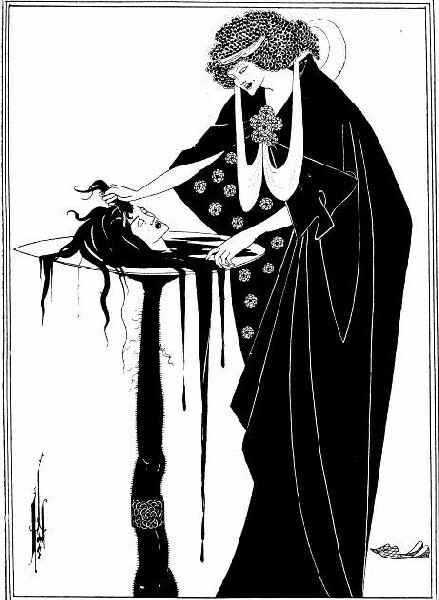 Salome, a nameless figure in the Bible, came to life in the Pavilion in Richard Strauss’ third opera, the seductive, harsh and gorgeous Salome based on a play by Oscar Wilde. 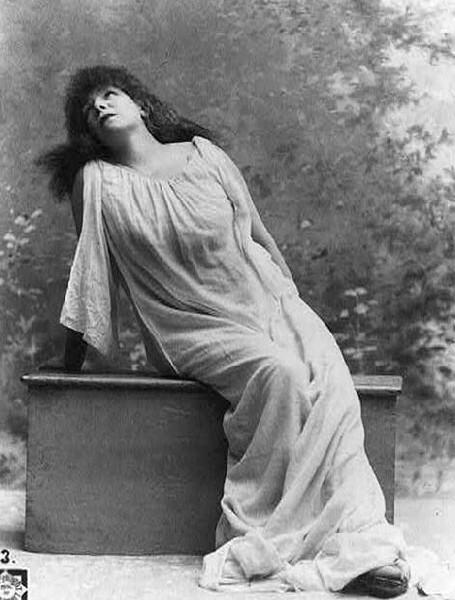 The moon in Wilde and Strauss may suggest that pagan goddess Cybele, who was obsessed with preserving her virginity. Does the final fatal kiss in the opera suggest in its bloody lips that Salome has lost this battle? The language seems to inspire the perfume of the music. When the four principals are not at each other’s throats, the strings and horns color the lawns, the flowers and the trees of Ravinia Park. Mr. William Archer wrote in a contemporary publication about Wilde's play: "There is at least as much musical as pictorial quality in Salome. It is by methods borrowed from music that Mr. Wilde, without sacrificing its suppleness, imparts to his prose the firm texture of verse...His characters are men and women, not flimsy shapes of mist and moonshine. …His ..palette is infinitely richer. Mr Wilde attains to depth and brilliancy of oils. Salome has all the qualities of a great historical picture." James Conlon, who conducted the evening’s performance, persuaded the great soprano Patricia Racette to undertake this taxing and for her novel role. Conlon is seldom wrong, and certainly his conviction here was borne out in Racette’s coquettish and yet passionate performance. A favorite of directors like the late Anthony Minghella, Racette is a consummate actress. No credit is given on the program for the ‘staging’ of this concert performance, but wonderfully staged it was. If there was not an appropriate break for singers to enter, they entered when they could and sat with their backs to the audience. Racette at first stood on a podium near the conductor as she listened to John and spoke of her fascination for him. When she was engaged in the torture of her stepfather, as he begged her to dance and offered her anything in return, she pinned herself to a column, and over her face, a wide emotional panorama played: from teasing, to seducing, to trapping. 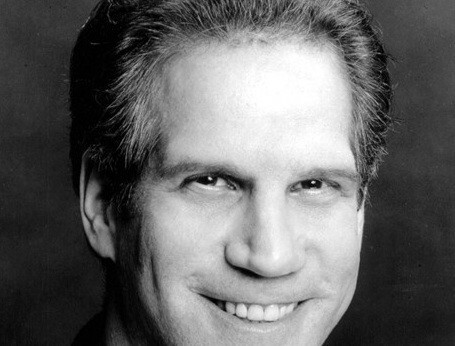 Herod, compellingly sung on a moment’s notice by Allen Glassman, accedes to Salome’s demands. Her dance, which is left to our imaginations, will surely be enticingly performed when she first undertakes a full production in San Antonio Opera's 2014-15 inaugural season. Gabriele Schnaut singing Herodias, the sexually promiscuous wife of Herod and Salome’s mother, comes with the endorsement of Bayreuth. The powerful soprano thoroughly enjoyed taking down Jochanaan, who describes her as the symbol of a wicked world, and also her current husband Herod, who spends too much time looking at her daughter. Egil Silins has a rich and powerful voice which he deploys with a subtle command in the role of Jochanaan. Not only were the musical colors beautifully rendered by the Chicago Symphony Orchestra, but the singers seems to be less restrained without the demands of movement, and particularly Schnaut gave us every moment of her jealousy, anger and vengefulness in her stage presence. All of the secondary cast were superb, luxury casting from the great opera companies of the world. It is hard to make a final judgment on Racette’s voice in the role, because singers are miked at Ravinia where sound has to reach the audience packing the lawns. My sense was that this is a perfect fit as Racette’s voice matures. She says she will not sing Butterfly much longer, nor will she sing Trovatore. Conlon has opened up a whole new repertoire for her, and the prospect tantalizes. Racette's physical approach to the role, her passion for Jochanaan's eyes and the white skin on his body, is palpable. The Chicago Symphony showed its superb musicianship again. All the participants seemed to appreciate each other as much as the audience did.